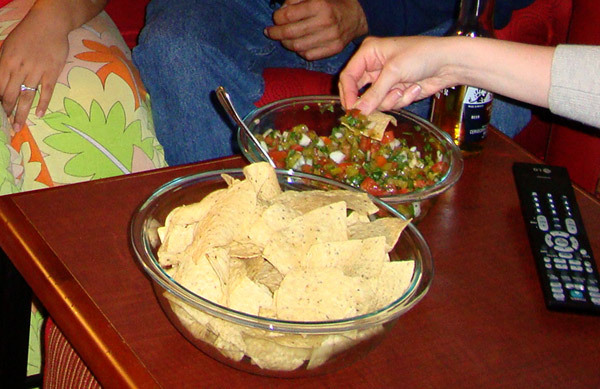 The salsa received its name from a college friend in Miami, Candace. She couldn’t stop eating it and said it’s addicting like crack — you just can’t stop. She also asked me if I put crack in it. My Mommy taught me to make salsa when I was 10 years old. 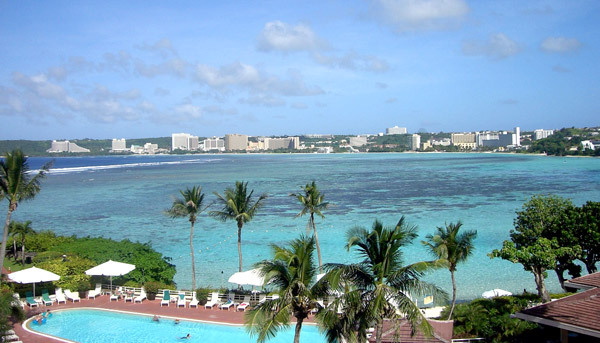 I came in 2nd place at a salsa making contest when my father hosted an Air Force Cinco De Mayo party on Guam. Obviously, I should have won the 1st place but I think the judges didn’t want to show favoritism. This recipe is a favorite for parties, family functions and nights I just don’t feel like turning on the stove. My husband and best friend can eat it by the spoonful. The secret ingredient is cactus or nopales. If you don’t have this in your salsa it’s not a real Mexican salsa!!! 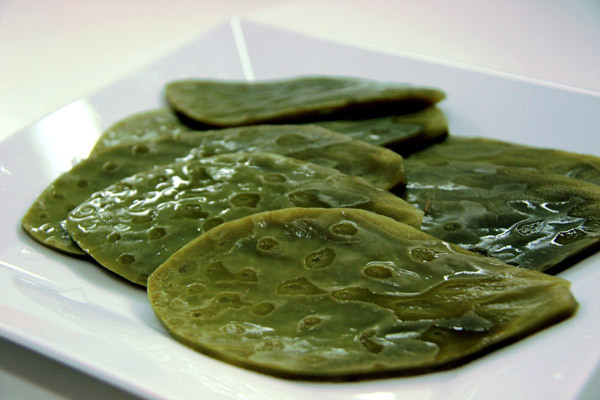 You can buy cut-up nopales in a glass jar in the Hispanic Food aisle of any major supermarket. Remember, when making the salsa it can come out different every time. Seasoning is a huge factor as well as how fresh your ingredients are. The salsa is best served at room temperature on the day it’s made. You will want to cut equal parts of the tomato, onion and cactus. They are no correct measurements, you will have to eye ball everything. Cut the tomato first. When you place it in the bowl add the lemon juice. Next add the onion and cactus. Cut a hand full of cilantro. As for the jalapenos, cut as many as you can handle. Season according to your taste. Begin small and add seasoning as you taste it. There is no exact science, it can come out different every time. Here is a tip, you want to make guacamole? Slice 2 avocados in half and remove the pit. Don’t throw the pit away — put it on the side for later. Remove the contents of the avocado shelf and place it in a bowl. Once in the bowl mash it, a fork can work but a bean masher is the best tool for this. Simply add a copy of spoonfuls of Chonti’s Famous Crack Salsa stir and you are done. You place the pit you saved right into the guacamole, this is supposed to keep it fresh for hours.